I decided to make my own all natural(if ya wanna call it vegan,go ahead!) deep conditioner. In a bain marie(double boiler)I use a mason jar for heating the oils and then transfer to a pyrex bowl. heat this until cocoa butter is melted. Mix well. Transfer to a pyrex bowl. Add your favorite conditioner to get a nice consistency. (I used Nature's Gate)about 4oz. Add 5 drops of each e/o lavender,rosemary and sage. You could use any combo. of e/o's that you like though. Apply to dry hair and really be generous to coat all of your hair. Put on a shower cap and wrap a towel or turb. Sit under a bonnet hair dryer or apply any type of heat for 30 minutes. Rinse well and then shampoo and acv. First time to make this and use it and my hair feels very soft and nice. This makes alot,so any leftovers should be refridgerated. I'm guessing that you should use the leftovers in a week. Since there are no preservatives in it, it probably won't be good after a week. I used up all of it the first go around. If your hair is shorter,there will be leftovers!! Sounds like a wonderful deep conditioner. thanks! Feels good and it doesn't smell bad at all. Smells kinda good in fact! lol,Trisha! thanks! If you try it let me know what you think. I might be one more thing I make to sell!!!! Between the Satin Socks,vegan lip balm and all the crocheted ponchos,scarves,berets and hats.....I'll never see the light of day! I am dying to try this conditioner. 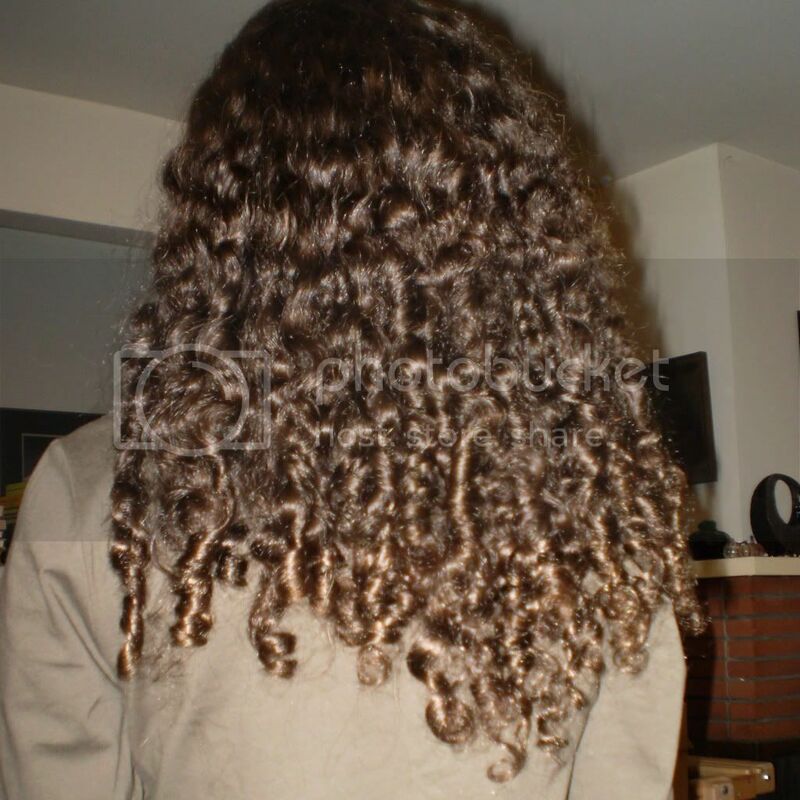 When you look at how shiney Curly64's hair is, how could you not want to try it. It is turning out to be a challenge. I have been from health store to heath store looking for the cocoa and mango butter and even the sweet almond oil. I was getting desperate enough to go to Ebay but was afraid of it melting in the mail. Finally today I found a little health store that had the cocoa butter and will order the other two ingredients in for me, so in a week or two...I am trying this stuff. I will let you know how it goes. ooo this sounds interesting! thats a lot of ingrediants to get my hands on too. Your hair so SO pretty! And shiney! Have you reapplied this yet? how often do you think one would want to use this deep condition? Whole Foods should have them. I bought alot of my oils and butters from Mystify Your Senses. I am DYING to try this! I gatta get the money to go hunting for a few of those items, but your hair is GORGEOUS so I can't wait to try!